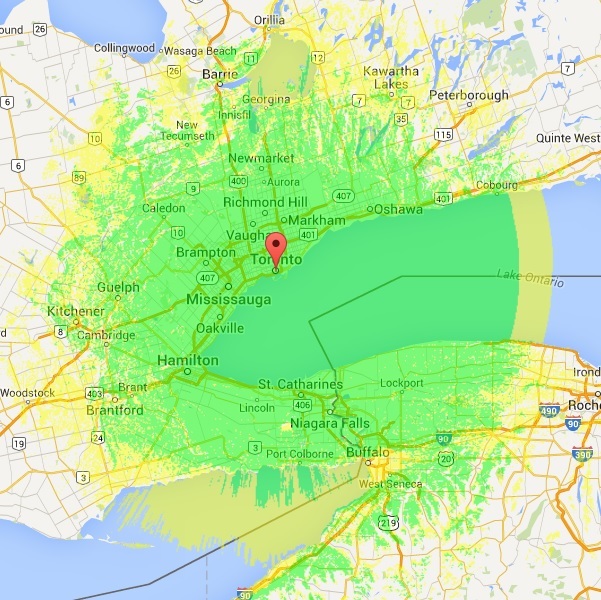 Below is a coverage map, which shows the approximate mobile coverage area for the VA3XPR repeater. If you are not currently using DMR and want to verify coverage in your area, you can tune into the VA3XPR repeater transmit frequency on 442.3375 MHz and listen to see how strong the signal is at your location. The repeater transmits frequently, so it may take a few minutes to actually hear a signal.